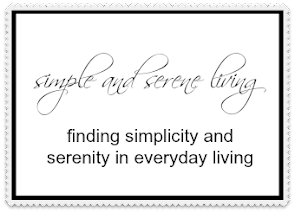 F Simple and Serene Living: aging well - what is the secret? 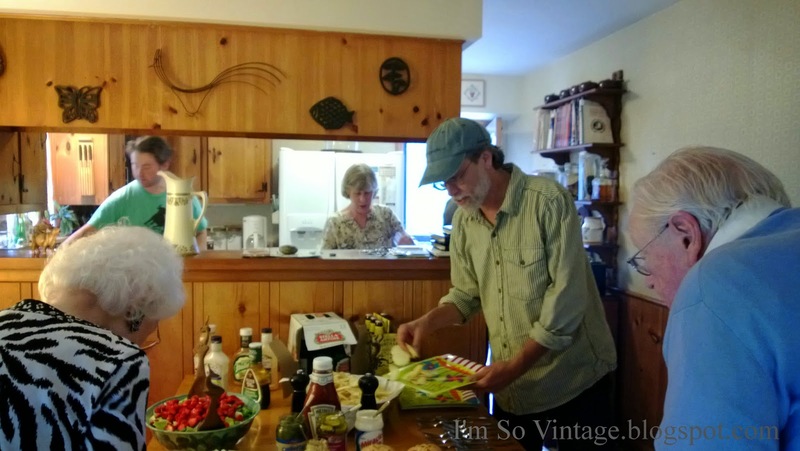 aging well - what is the secret? What is the secret to aging well? Is it good genes, staying active, what you eat, keeping your cholesterol low? While I'm sure all of the above are contributing factors, research has found that there is more to it than that. Yesterday was my Uncle Karl's 94th birthday, and as we celebrated his longevity I thought about the secret of aging well. 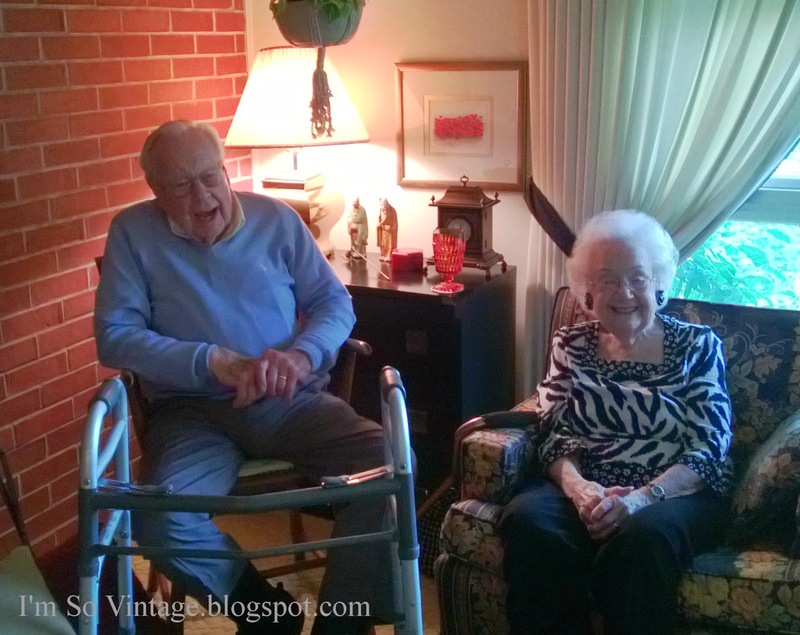 I watched my mom who will be 90 in August and my uncle (along with his wife of 68 years who is 93) talk and laugh. They are all still vibrant and active participants in this life. Despite my uncle's left hip being gone. He still drives, goes to church, eats out often and enjoys living. My mom is the same way. I wondered what is the secret and is there a secret. So I did some research. When I look at my uncle and my mom I would have to agree with this. They seem to live in the present, without letting the past affect their enjoyment of the now, and they surround themselves with other like minded people. Yes, they may have good genes. My grandparents lived into their early nineties, but they too remained active participants in life. So what is the secret to aging well? Although there are many factors, I think that happiness and living in the present moment would be at the top of my list. Oh, and happy birthday Uncle Karl. I'm looking forward to your 100th. Happy birthday to uncle Karl. What an amazing milestone. Thank you. I feel blessed to still have them in my life. At my sons's wedding one of his best friends and I were discussing BF's grandfather. His place was out in the country and all large family gatherings were always there Had to go to a nursing home a year or so ago and the BF said at Christmas it seemed that he was fading fast....then a month or so ago at a huge party for his 90th or 99th ( I forget ) with all of the family around and the interaction like he used to have...he was his old self and seemed 20 years younger. For most of us we need that human contact. I think this is a wonderful example of that. Thanks so much for sharing, Deb. Hi Laura! Looking at the pictures and reading your post, I can tell you had a nice time. I'm really happy for you. My mom's dad died when he was 102 years old and he still had all his head and his vitality. I agree Laura. So many people dwell in the past and when there is absolutely nothing you can do about it, why fret and worry bout the past? I definitely think having family contributes to living happily. When you have a spouse or children, grandchildren, sisters, etc. you just have support and you know it. One of my favorite quotes that I keep written in my Bible is "To worry is an insult to God". I truly believe that. Life's not easy but worry just ages us - of that I'm sure. I agree, Judy. My grandmother used to always say worry will not add a day to your life, and she was so right. Family can be such an important part of your life, and for those who don't have that support friendship is very important. I think there are a variety of factors that age us: stress, health, diet. Certainly cigarettes and alcohol and recreational drugs. I don't necessarily think you have to be a social butterfly to be healthy. I enjoy being alone. I am most at ease when alone. Some of us are just wired that way. I think finding what makes you happy is really important. There is nothing wrong with being alone if that is what truly makes you happy, my friend. How absolutely precious! I love the aged. I worked in the NH for 11 years and sure loved my residents. I asked my 90+ year olds what they contributed their long life to. Most included hard work, loving the Lord, and treating others the way they wanted to be treated. My granddaddy lived to be 96 and his mother lived to be 99 and both were happy all the way. Kinda scares me because we no longer have the "community" that they had. Helping each other was the way they lived. That was a nice post, Laura. Your family is amazing, including you! Warm congrats to the birthday "boy."